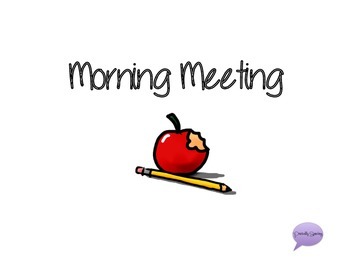 Morning Meeting Printable Book with Manipulatives! not use much language effectively. We're working on integrating him into the group work with his peers, but there is definitely some resistance! In an effort to have him continue doing the same work that his peers are doing, I created this book so he can participate in morning meeting. It's definitely a lot of cutting/laminated/velcroing, but it's working really well! Use the manipulatives to go through the day, month, year, season, and weather! Download this great book HERE on TpT!